September is Baby Safety Month, sponsored annually by the Juvenile Products Manufacturers Association (JPMA). This month-long event increases consumer awareness of baby safety issues and the safe selection and use of baby products. In observance of #NationalBabySafetyMonth MAM shares some recommendations to provide infants with a safe sleep environment and to help you and your baby rest easier at night. 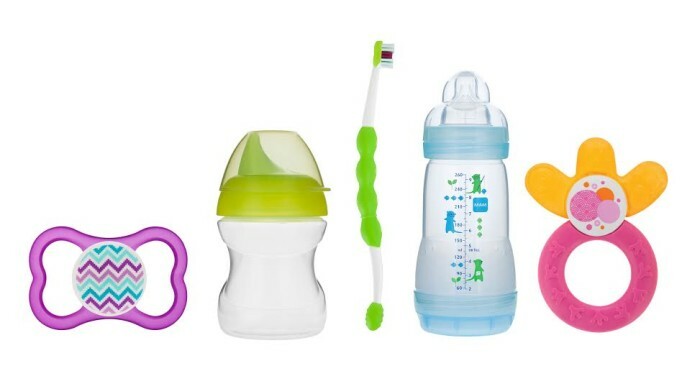 Visit MAM’s Facebook page @MAMbabyUSA for details. In recognition of this special month MAM and ergoPouch have a special prize package for a winner. 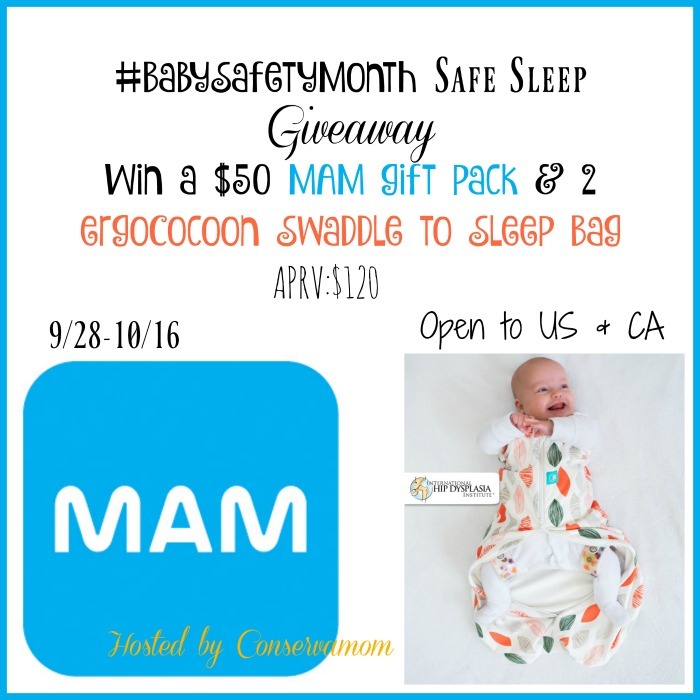 One lucky winner will get a fantastic prize pack worth APRV $120 that includes $50 in MAM products and 2 ergoCocoon Swaddle to Sleep Bags . This giveaway is open to US & CA and ends on 10/16 at 11:59pm EST. Must be 18 years old + to enter. Good luck! Disclosure: All opinions are 100% mine. This giveaway is in no way associated with, sponsored, administered, or endorsed by Facebook, Twitter, Google, Pinterest or any other social media network.All opinions and experiences are Conservamom‘s. Open to US & CA residents only , must be 18+. Confirmed Winner(s) will be contacted through email and have 48 hours to respond before a new winner will be drawn. No purchase necessary. Void where prohibited by law. The sponsor will be responsible for product fulfillment to winner(s) of the giveaway. The disclosure is done in accordance with the Federal Trade Commission 10 CFR, Part 255 Guides Concerning the use of Endorsements and Testimonials in Advertising. For questions or to see your product featured in an Event you can contact Elia At Conservamom.